Please select a size. 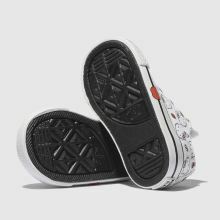 UK 2 - In StockUK 3 - In StockUK 4 - In StockUK 5 - Low Stockview larger sizes Please select a size. 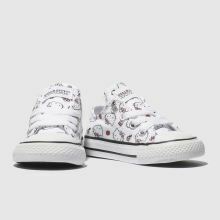 For even the littlest fans around, Converse X Hello Kitty have catered for everyone in their latest collab. 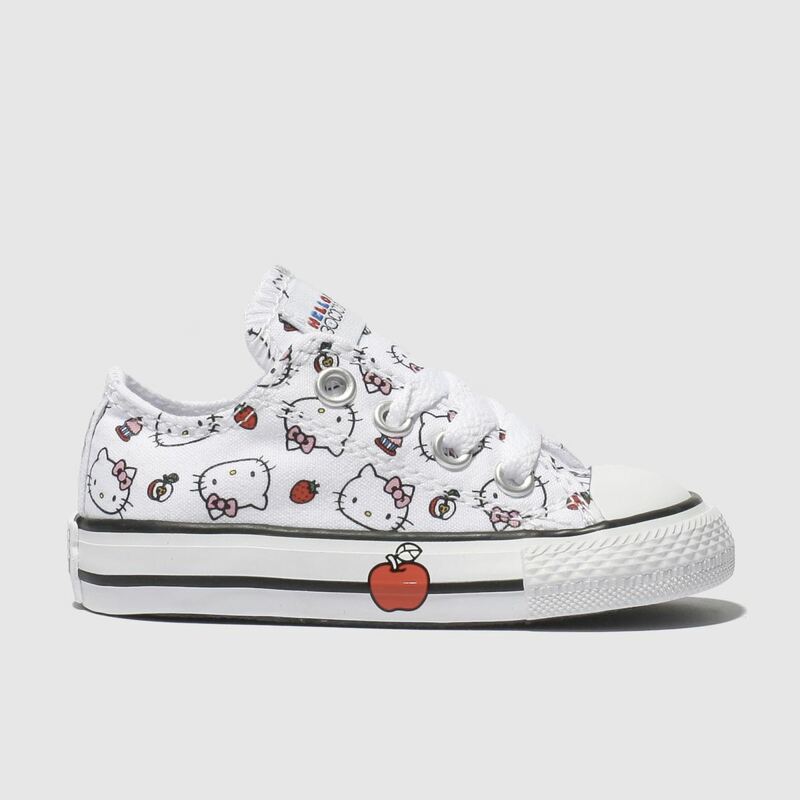 The All Star Hello Kitty Lo arrives for kids boasting a white and red fabric upper. 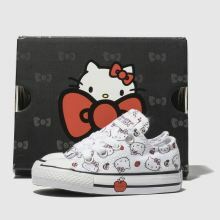 Hello Kitty and apple graphics adorn while branding completes.